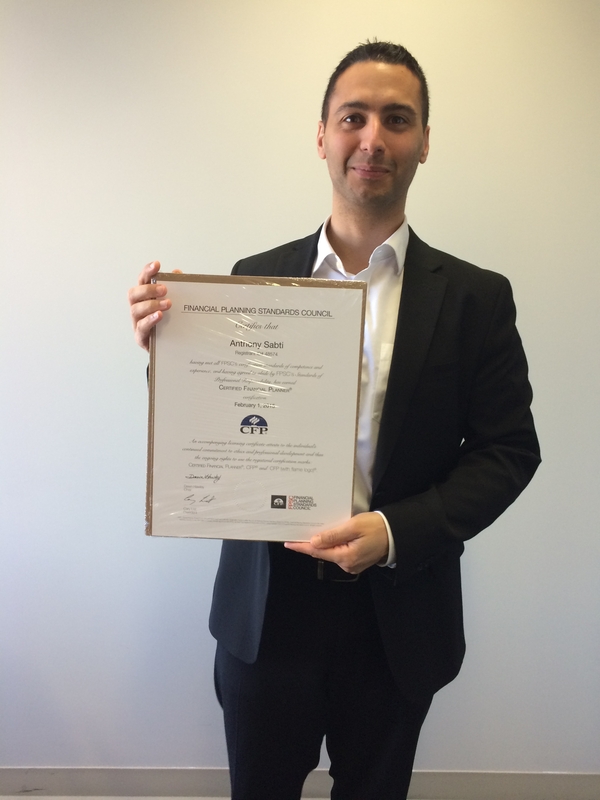 Please join us in congratulating Anthony on completing the Certified Financial Planner certification. After 3 long years of courses, while working full time, and 9 exams, Anthony has passed the final Certified Financial Planner exam. He just received his diploma this week. Congratulations Anthony! We are very proud of you. You First is a team. So go ahead and contact Anthony directly for your planning and investments at anthony@you-first.com. Anthony is smart, creative and very thorough. He will be a great help in ensuring that your financial goals are met, that your money grows and that you get all the tax write offs you are entitled to.